And is 7 really that much more than 5? Seriously though these guys look like they're going to be fun to army build for those with the shelf-space and resources. I hope we're still getting the beer mug. thats what i was saying earlier...... ill buy it in a heartbeat if they were the correct sclae. dont know why they did them that big, smh. They are too small. If I recall, the gremlins were close to 3 feet tall, so the figure would have to be 9 or 10". These sit right about 6". He said 7 inch scale, though. Which would make these guys about 3.5". I think they should be about 3.5" and Gizmo should be 2". That way they'd fit perfectly with the other NECA stuff. But, they are in a size all their own and that's why I only buy a few. I have Mohawk, Ultimate Gizmo, and the Spider Gremlin. I'll get Stripe and just one of this Ultimate gremlin. I put them on the shelf with my other oddball scaled stuff. In the movies, and according to various puppet replicas, the Gremlins stand at about 30" so figures that would be in scale with NECA's usual offerings (7" scale) would be around 3" tall. 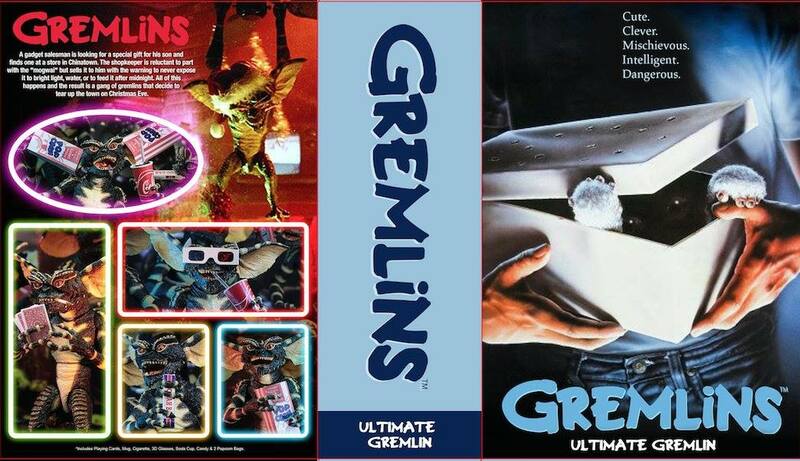 As I've brought up before NECA could totally do a creature pack or something similar to give us Gremlins that scale properly with their other figures, of course these offerings would probably be barely if even articulated. Very clever from NECA. I’m probably going to need at least four of these. since we are on the topic of Neca. i think Neca is a very good figure company, ive read some comments on this site on other neca threads saying that they think neca is a low end fig company? i got the alien and predators figs and they are superb plus they have taken out some awesome licenses. Last edited by Tomax; 11-09-2018 at 04:28 PM..
They’re definitely not low end. Affordable, but not low end. Their stuff is incredible. Sure, if you want to pay a fortune for some Hot Toys piece you’ll get immaculate detail, but NECA are a superb company that apply great attention to detail. i agree with you. personally, i hate hot toys, they are overpriced dolls to me, not my cup of tea. just because something is expensive doesnt make it good. Last edited by Tomax; 11-09-2018 at 11:06 PM..